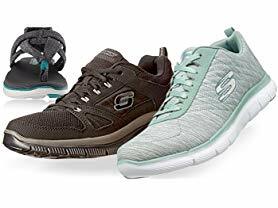 Right now Skechers Sport Men's & Women's Shoes ONLY $19.99. I really like the Skechers Women's Flex Apparel 2.0 Sneaker. Shipping is FREE for Prime Members or $5 Flat Fee.